Assailants believed to be Islamist militants entered an apartment building posing as potential tenants and killed a secular blogger in Bangladesh's capital today, in the fourth such deadly attack this year, police said. 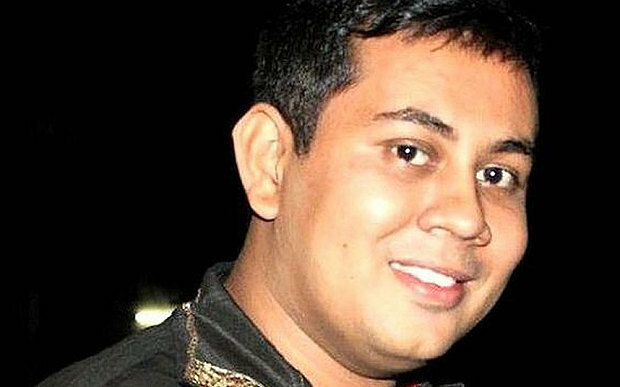 Police official Mustafizur Rahman said 40-year-old Niloy Chowdhury was hacked to death in his apartment. The motive was not immediately clear and no one claimed responsibility for the death. Chowdhury's friends said he was a secular blogger and had a Facebook account with the name “Niloy Neel'' in which he criticized radical Islamists at home and abroad.